SEO is very tactical and we always try to look behind the curtain of Google’s algorithms. So, it’s no surprise that we all want to know more about RankBrain. RankBrain is Google’s machine learning system that they confirmed out of the blue in October 2015. In this session, we’ll learn about RankBrain via the studies done by our presenters. Danny Sullivan says that a few months ago, Google said, “Oh hey, by the way, we have this new thing called RankBrain and it’s the third most important signal that factors into ranking.” SEOs asked, “Can you tell us about that?” Google said no. We still want to understand it. He had two full-time people work for three weeks to collect the RankBrain data he is presenting here today. Before we talk about details and key findings, it’s important to look at machine learning (ML) and artificial intelligence (AI) first. So they dug through patents and papers. Machine learning is an algorithm that improves over time. Deep learning aims to bridge the gap between ML and AI and it solves more complex problems. Human-like intelligence (AI) is the end game. Is Go really that hard? Well, actually yes. There are 10^50 possible moves in a chess game. There are 10^171 possible moves in a game of Go. Google’s program AlphaGo beat the world champion 10–0. Traditional A.I. methods, which analyze all possible positions, failed. AlphaGo uses deep neural networks across 12 different network layers. One neural network selects the next move to play. The other neural network predicts the winner of the game. AlphaGo has a lot to show us about RankBrain. Here’s Hinton’s research in a simplified nutshell. Let’s talk about thought vectors. Imagine empty space. Every word in the world has a position and a proximity to other words. Google can map queries in search in that space so you get the proximity and distance of different queries. When a query such as “What’s the weather going to be like in California?” is searched, RankBrain can interpret it as “Weather Forecast California.” Using training data, similar query sentences (with similar results) are closely positioned. Searches for “credit card” and “debit card” will be close to each other in space. Results scoring is where Google results rank better based on proximity. Good results, with higher relevance, have higher proximity to each other. Here was the Searchmetrics Hypothesis: Traditional ranking factors can no longer make sense for typical organic rankings. This isn’t for all queries. Google said that Google RankBrain is not used on every query. When it is used, it is the third most important ranking signal. RankBrain concentrates on relevant content. 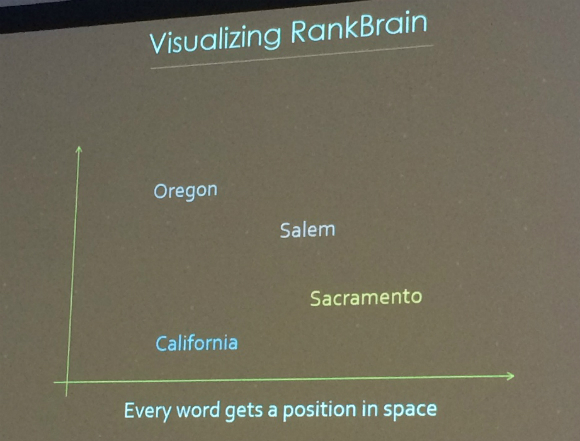 RankBrain uses thought vectors to map relevant results to queries. 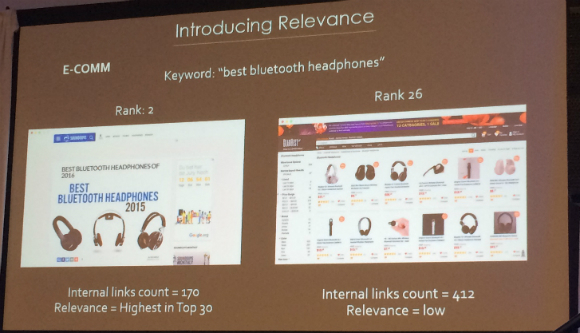 Relevance score, then order rankings in real time. Used top 30 results for Google U.S. In order to do this analysis, they had to remove all previous understanding of ranking factors. 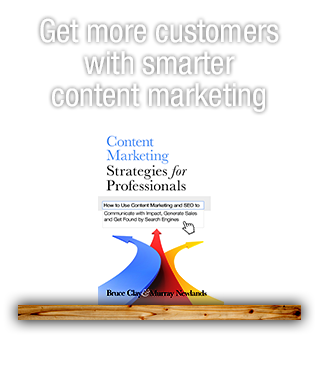 This includes backlinks and internal links, keyword in title, word count and interactive elements used. They cleared the slate of their presupposed ranking factors in order to get the new ranking signals. We see that for ecommerce keywords, there is a positive correlation between rankings and backlinks. 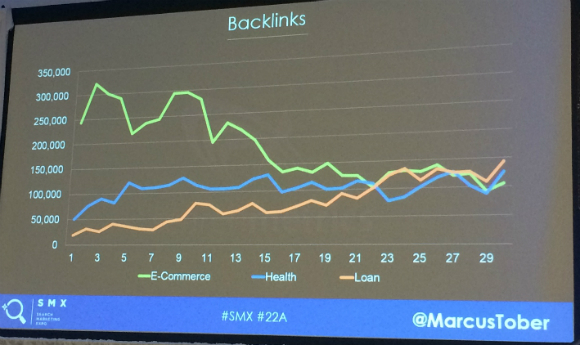 However, for health and loan queries, rankings and backlinks have a negative correlation. 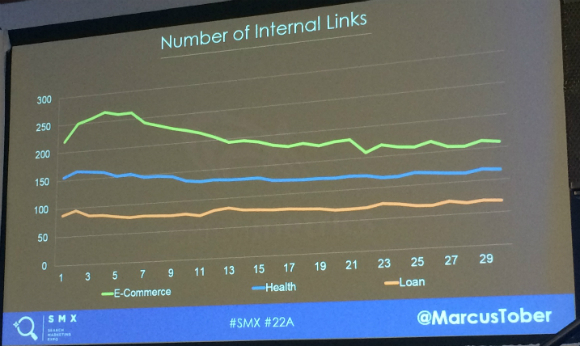 For loan queries, the average number of internal links is less than 100. For ecommerce, the average number of internal links is much higher. 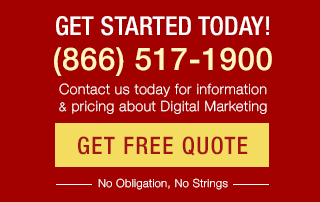 Here’s a traditional SEO optimization tactic. In this analysis, they accounted for stemming and variations. 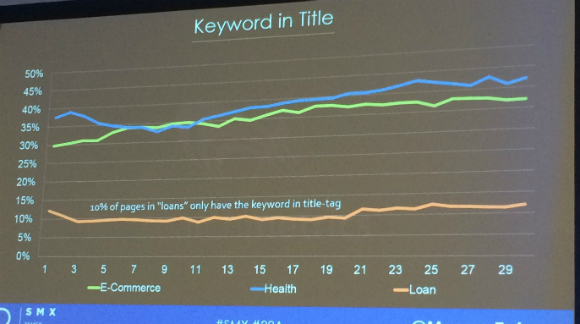 In the loan category, only 10 percent of pages have the keyword in the title tag. 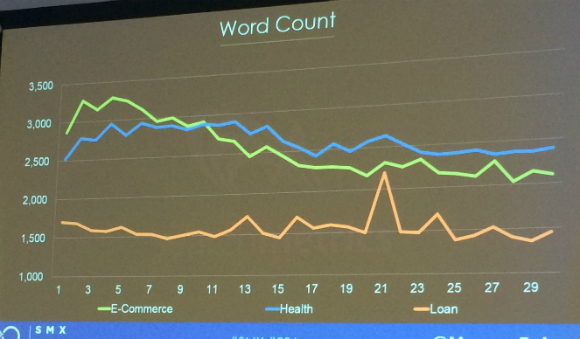 For ecommerce and health, pages that are more successful have more content and more interactive elements. Why do traditional ranking factors fail to explain these examples? If you look behind the curtains, you see that Google has changed a lot, with Hummingbird adding in machine learning. They emulated RankBrain and gave search results a relevance score. This score is based on how relevant a result is to a query. They found around 25 relevance ranking factors to assess relevance. Relevance factors are different for each keyword, so Tober says they can’t provide a table of all the relevance factors. For example, 9 out of 10 ecommerce websites have a keyword “add to cart” function above the fold. Rank #9 does not. However, it has the highest relevance score of the top 30 and that’s why it ranks. See how many internal links for each result and compare their relevance scores. And another example, for the keyword “natural detox” you’ll see the word count comparison for two results, with the higher ranking result having fewer words, fewer internal links and fewer interactive elements. Content with a high relevance score matches user intention, is logically structured and comprehensive, offers a good user experience and deals with topics holistically. Holistic means that other topics related to the topic are covered on this page. Top ranking factors are different depending on keyword set. 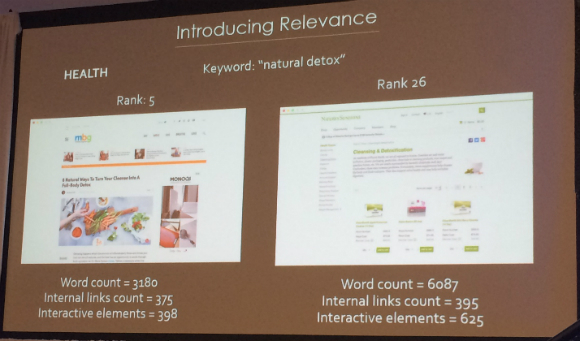 Relevance ranking factors dominate results across all keyword sets. 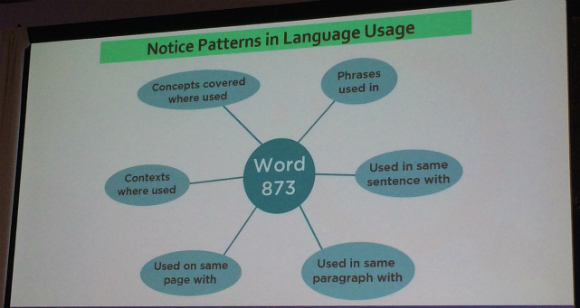 All previous examples can be explained by having a higher relevance score. 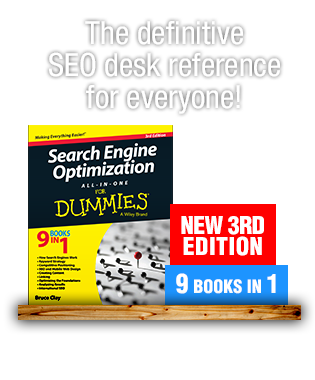 This score overpowered other ranking factors, meaning that these pages ranked highly. SEO is as important as ever, but it’s changing. RankBrain is not used on all queries. For example, short/popular queries with well-known results aren’t filtered by RankBrain if your content matches user/query intent. Relevance is crucial for good rankings, because RankBrain can detect how relevant your content is. 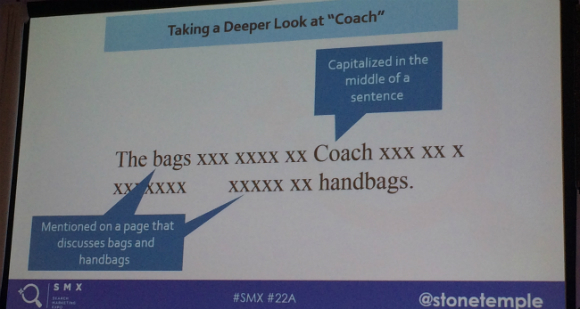 Make sure your content matches user/query intent. When Google already knows the best results, RankBrain is not used. He believes RankBrain is filtering long-tail queries. Relevance is crucial for good rankings and RankBrain can detect how relevant our content is. Eric had brain surgery in 2003. Does that make him a RankBrain expert? No, but his company Stone Temple Consulting did a study of Google results before and after RankBrain to see what’s changed. Google is trying to understand the true meaning of queries and do a better job of providing results that are relevant. Some basic language analysis concepts figure in here. Take, for example, stop words. Google has traditionally stripped stop words out of a query or indexed page to simplify the language analysis. This is the example offered the the Bloomberg article. The word “without” was traditionally taken out of a query, so now the user isn’t getting the answer they were looking for. This is an example of how Google was able to improve the results with RankBrain. 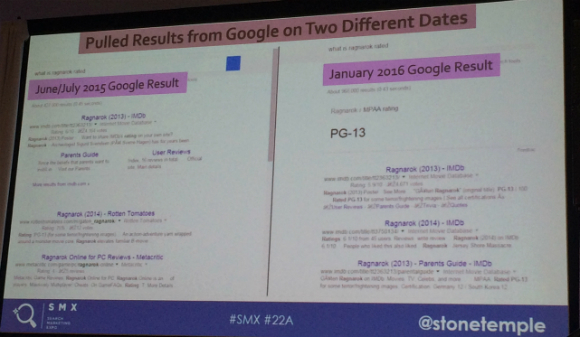 From their database of 500K queries, they looked for examples of queries that in June/July 205 Google didn’t understand and compared it to January 2016 results. In the left example, you see that Google doesn’t answer the query about Ragnarok, and in the right we see that Google did answer the question. 39 results (43.8 percent) had an improved answer box. 2 results (2.2 percent) added maps. 48 results (53.9 percent) had improved search results pages. RankBrain did a good job of parsing the query and instructing Google’s back-end retrieval systems to get the right results. Enge believes that Google can pass a better query not just to web results but also to featured snippets and other algorithms. Enge shows a January 2016 SERP result of Abz Love in Wikipedia for the query “who is abs.” He explains that Google now figures out to put weighted importance on the “who is” portion of the query, even though “abs” changed the way he spells his name. Phrase interpretation and word interpretation improved. About two-thirds of the time, the user query was pretty clear to a human and Google didn’t understand, while the other third of the time, the query wasn’t clear originally. There’s a growing importance on relevance and context in ranking. We’re seeing a shift in that direction, although he’s not sure that all of that is due to RankBrain. 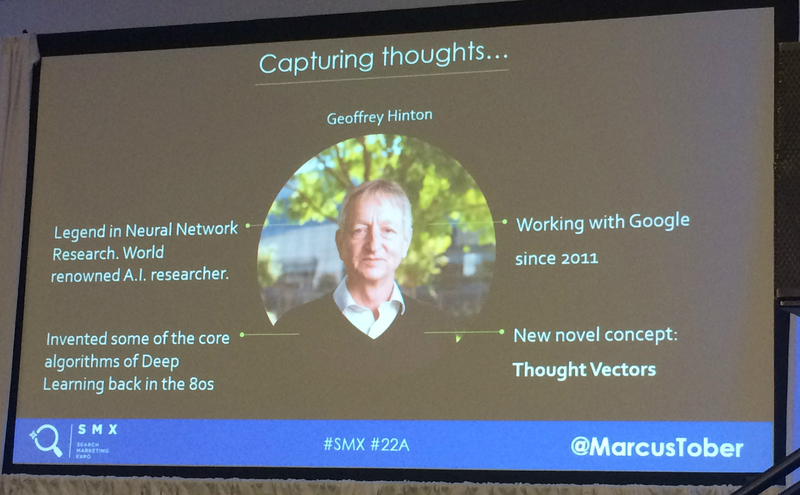 He doesn’t see a lot of direct impact on SEO from RankBrain right now. The biggest change happening in SEO is with content and comprehensiveness and relevance. More obscure phrases may bring up your page. 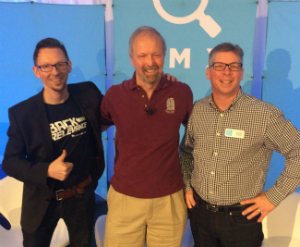 Yes, you still need to do keyword research. You should increase your emphasis on truly natural language. Danny Sullivan says his takeaway is, what are you really going to do any differently? Create great content for humans, which Google will reward like they’ve always said they do. Hi Emily, thank you! Did you read Larry Kim’s RankBrain and CTR post over at Moz, by chance? :) https://moz.com/blog/does-organic-ctr-impact-seo-rankings-new-data “RankBrain may just be the missing link between CTR and rankings.” Larry and his data have me convinced. And I’m remembering that this CTR and rankings connection was predicted in Rand Fishkin’s 2015 Pubcon keynote https://www.bruceclay.com/blog/seo-in-a-two-algorithm-world-pubcon-keynote-by-rand-fishkin/ so I could see the connective tissue lying in RankBrain, sure. I’m not an engineer, but it all follows to me. Rankbrain’s focus is on understanding query intent, so in and of itself, has no direct impact on CTRs. It’s output can have an impact on CTR, however. If it does it’s job well, the query results should more closely match the searcher’s intent, therefore better results are at the top, garnering more clicks and impacting CTR.